Carnell Estate - Hurlford, Scotland. 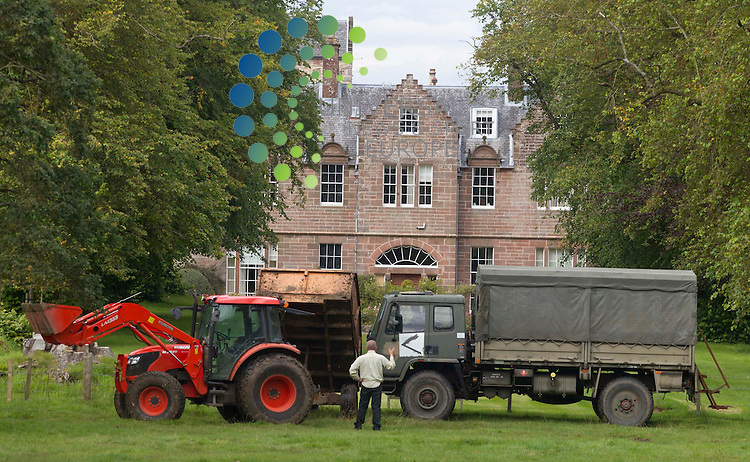 The estate manager moves a tractor and an old army truck to stop people seeing into the front of the home that Angelina Jolie, and her partner Brad Pitt are renting for two weeks while filming World War Z in Glasgow..Picture: Universal News And Sport (Scotland). 18 August 2011. www.unpixs.com..